On this day of FULL MOON, it seems our companion satellite has done its work approaching its fulness. 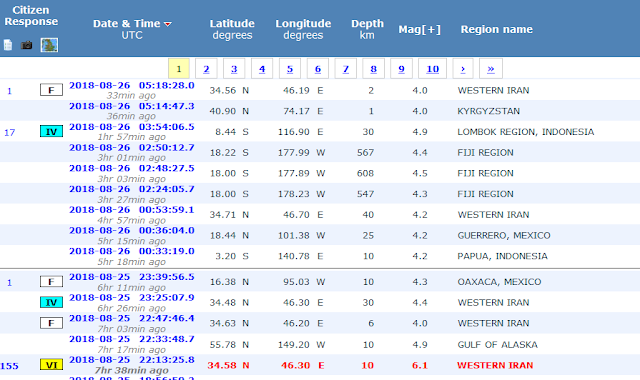 The panets today have been described yesterday in another post, see here, This morning we have relative quietness with all the earthquake events being minor, below 5R. 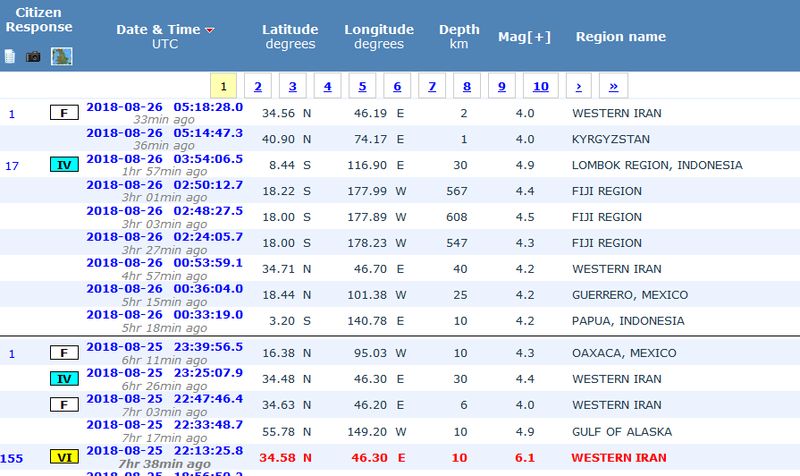 The aftershocks in Lombok and in W Iran have caused some concern but they seem to be below 5R. We predicted that we should see events in Iran, Papua, Fiji, and Alaska, all have arrived, and the day is young for our predictions. Lets hope it stays like this, unlikely, but...Be Safe Be Good!